I got this idea from some Montessori-inspired blogs and friends. Basically, you use a simple veggie-tray for sorting things. 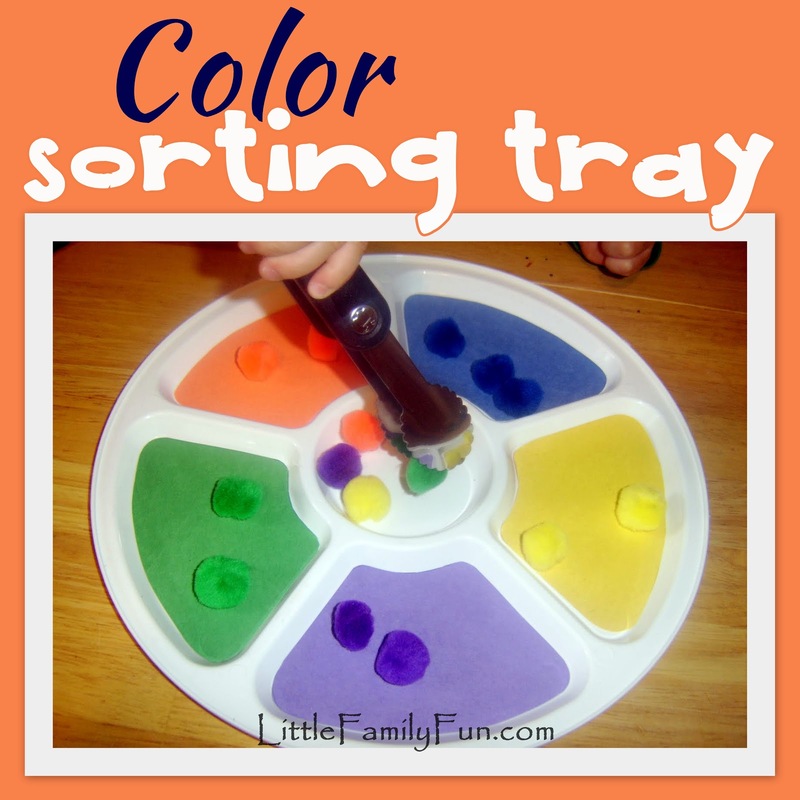 You can sort by color, size, shape, texture....ANYTHING. I bought this tray at a thrift store, and the first thing we have used it for is sorting by color. I cut out different colors of paper and put them in the tray. 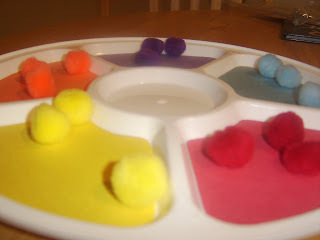 Then I had LM sort colored pom poms. LM used tongs to add some fine motor skill practice. We even changed out the colors a few times. 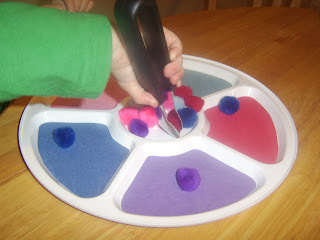 Easy to make, and LM has had so much fun with this! I remember my mom did that with me when I was little, only I think she used a 6 hole muffin tin instead of veggie tray. Great fun & learning opportunity!